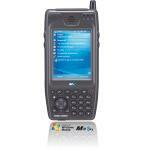 The mobile computer (PDA) market is huge and there is alot of choice available from a wide range of manufacturers. From the outset we have to make a clear distinction between consumer devices and mobile computers for business applications. 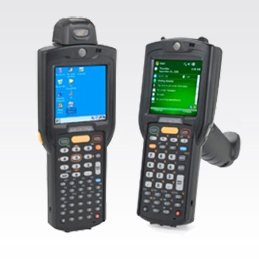 Barcode Datalink specialises in mobile computers for data collection (barcode and RFID) for business customers. We do not focus on the consumer market. The first question to answer, is it going to be used in the warehouse or somewhere else? Mobile computers for the warehouse need to integrate with an existing ERP or computer system and have to provide a level of robustness to survive the warehouse environment. what is their computer skill level? what computer system are you connecting to? batch mode data collection or RF (wireless)? what functions are they going to use the mobile computer for? what type of barcodes do they have to read? do you require Bluetooth? ie for mobile label printing? what keypad is most suited to your requirements? how industrial is your environment? will staff carry the scanner all day or use it on a forklift or do they push around a trolley? any other things to consider? current work process, environmental conditions, other? I want a mobile computer that is light and reasonably tough. 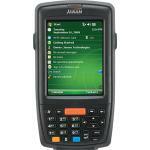 We would recommend the MC-3000 or MC-3100 series for light industrial applications such as picking and scan packing. I want a tough and durable mobile computer since I know my guys aren't very careful with things. In tough environments we know that the MC-9000 and MC-9500 series can survive the daily bumps and knocks. I am the manager and I would like something pocket sized that I can use now and then in the warehouse, but also use day to day for other things. In the past we have supplied managers with the MC-50. It could fit in your pocket or be worn on a belt holster. Running Wavelink you could access Pronto, SAP or your IBM AS-400 mainframe applications. Outside the warehouse you could send/receive emails and browse the internet. The replacement to the MC-50 is the MC-55. Now available in two versions, a wi-fi only or as a mobile phone. More information is at the bottom of this page. what is the task they need to complete? how much memory do we need on the device? what type of keyboard do we need? will they be out of the office? will they use the device as a mobile phone? how 'rough' is the environment? will the device be used indoors, outdoors? what barcodes will they have to read? are they going to read RFID tags? will they need the ability to capture photos or video? is document, image or signature capture required? do they need to print to Bluetooth printers? will they need to capture credit card payments? what accessories will they need?